Whether it is a handshower with the exhilarating Whirl AIR massage or an oversized showerhead of up to 24" in diameter, enjoy a unique water experience with Raindance. Available in a full range of sizes for S, E, and C and in as many as 6 distinct finishes. 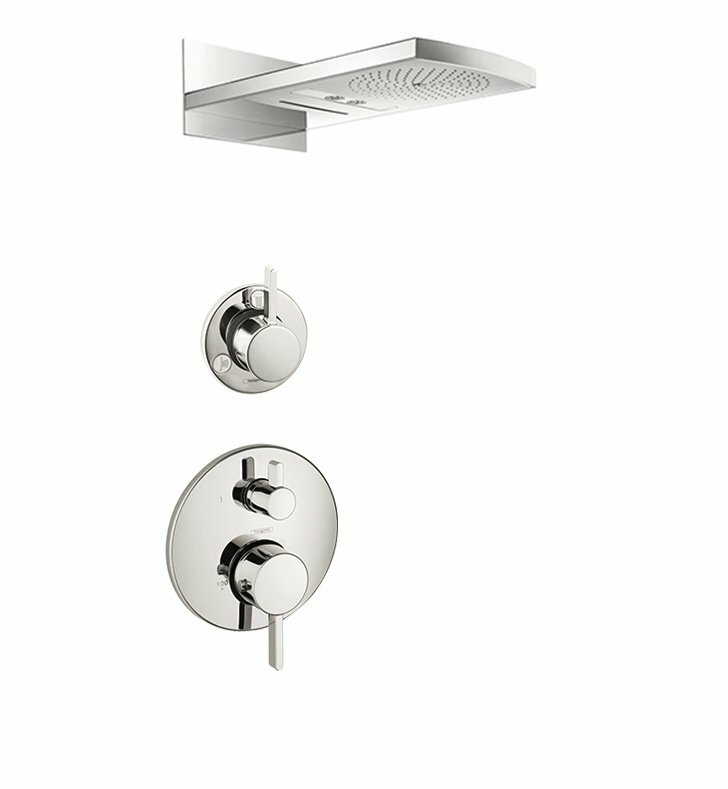 Raindance - the most styles, sizes and finishes - and the most fun you can have in the shower. Raindance is available with 3 different spray modes: Rain Air, Balance Air, and Whirl Air. The iBox Universal enables your exposed installation to disappear into the wall, thus creating space. A big plus for anyone building, planning or renovating. Install the base unit now ? and decide which shower system you would like to have later. The iBox Universal is the first and only basic set for all standard and thermostat solutions. And incidentally, it performs wonderfully in regular tests carried out by the professionals. Calcareous water, dirt, cleaning agents: faucets and showers need to withstand a lot. With QuickClean technology, residues disappear in an instant. As Hansgrohe has fitted its faucet aerators and shower jets with flexible silicon nozzles, dirt and limescale can be rubbed off easily. Another plus: products that are limescale-free and well-maintained remain functional and last longer. Climate protection starts with showering, ecological action with hand washing. As an advocate of the value of water, Hansgrohe assumes a pioneering role in dealing with this precious resource. Hansgrohe faucets and showers fitted with EcoRight technology require up to 60% less water than conventional products ? and without any loss of comfort. Lower hot water consumption means lower energy requirements. And that means: fewer CO2 emissions and lower costs. The principle is simple: an ample supply of air is sucked in via the spray disc of your AirPower shower. The incoming water is infused with this air. Around three liters of air are transferred to one liter of water. Valuable water is thus used efficiently.